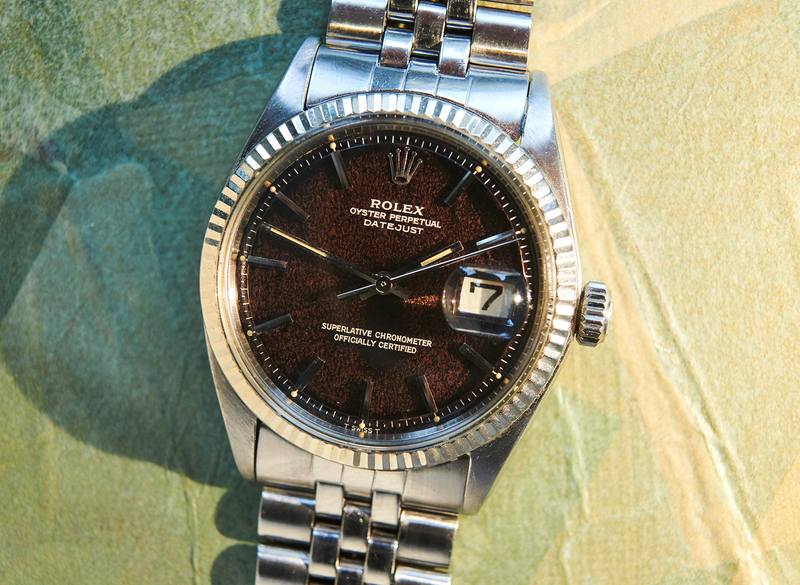 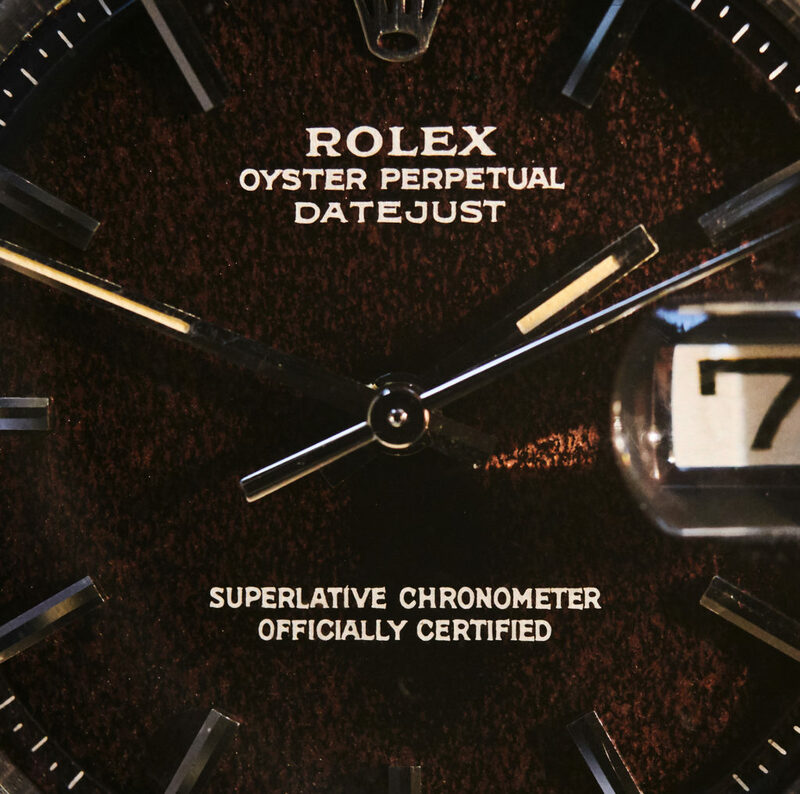 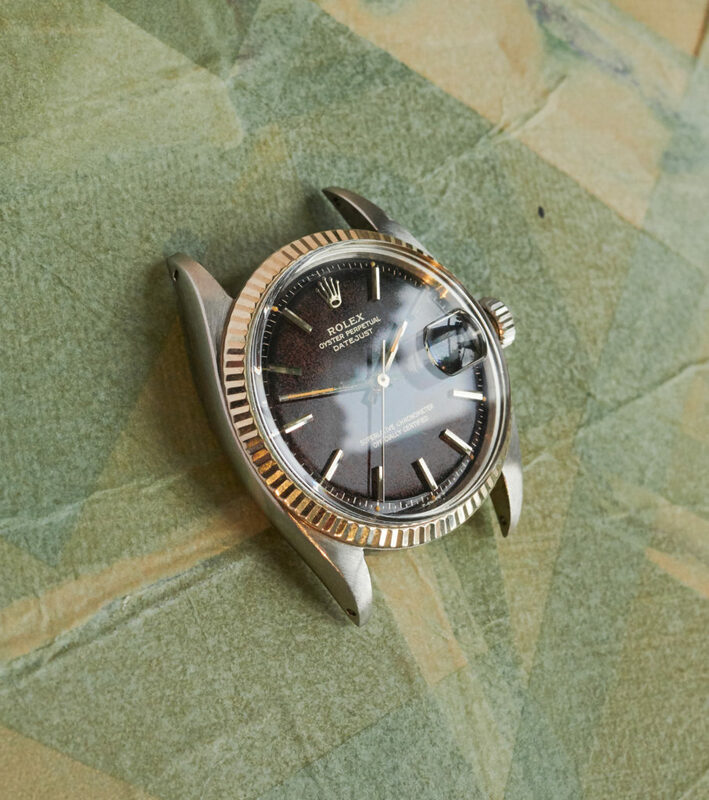 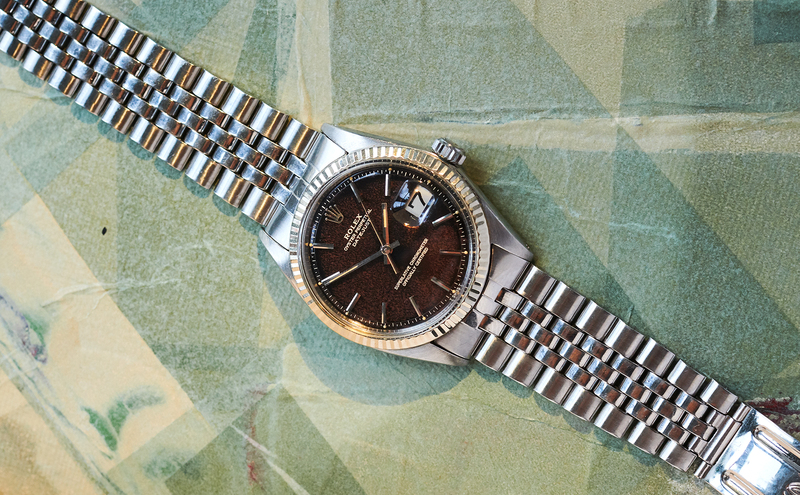 This is a 36mm 1601 Datejust from late 1964 with a very rare glossy dial with silver writing that has turned to an outstanding magical brown tone. 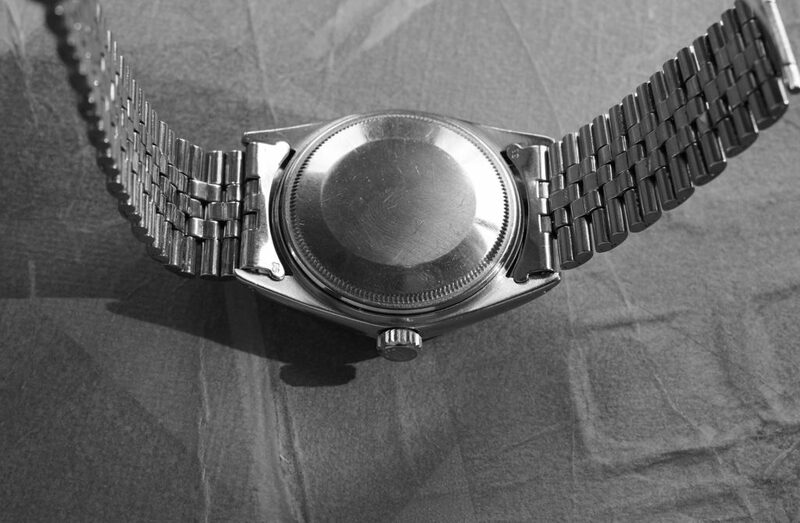 The „piepan“ dial is still carrying all original lumeplots, which are matching the color of the lume in the handset. 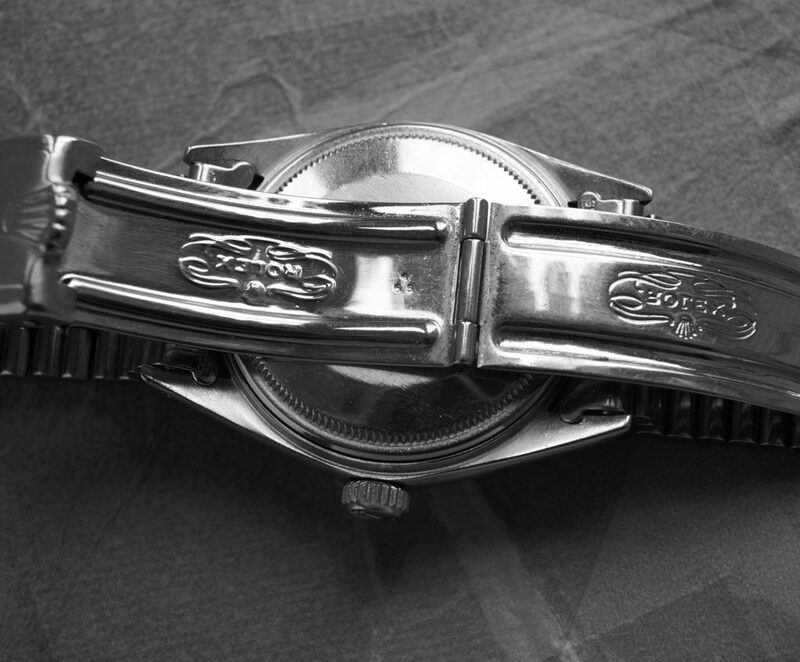 It´s case, with a 106xxxx serial, is in nice condition with clearly readable numbers and a 64 engraved caseback. 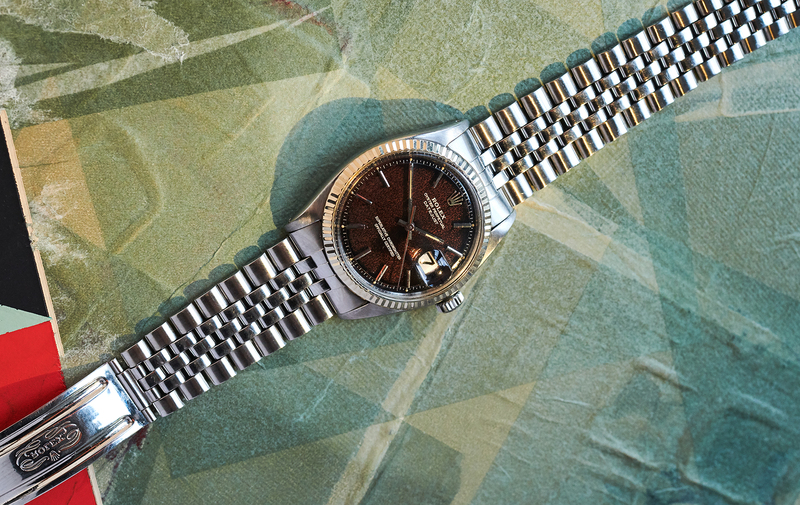 the original jubilee-bracelet is engraved 4/65 and is the one that has always been on this watch. 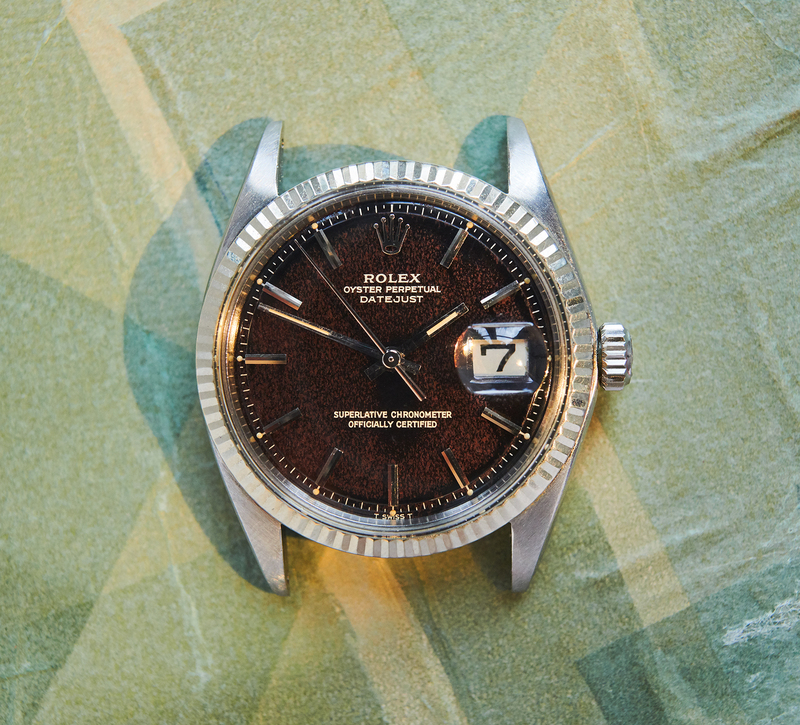 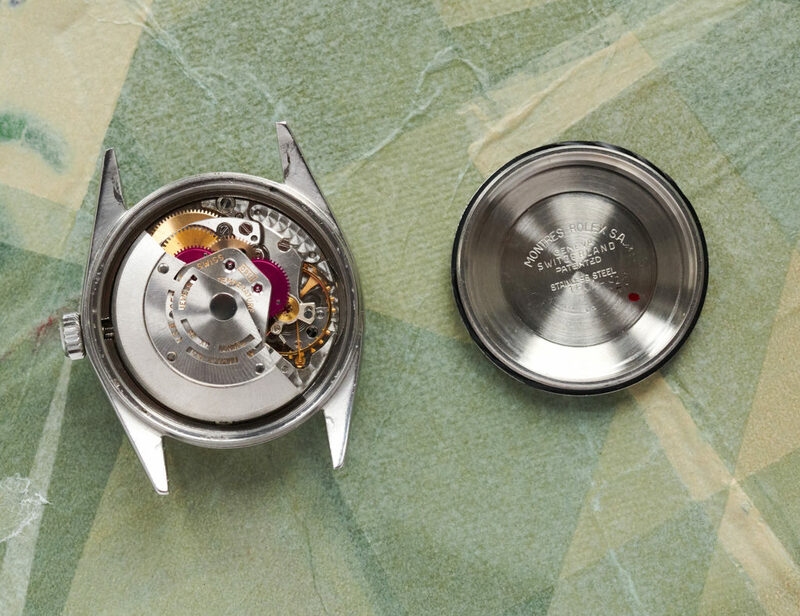 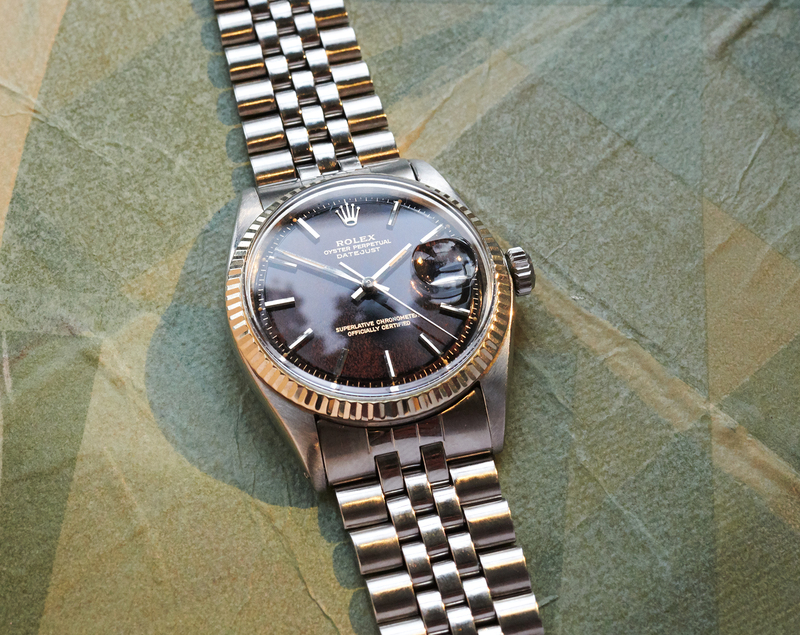 The 1560 Rolex automatic movement has been checked through by our watchmaker and is in perfectly working order. 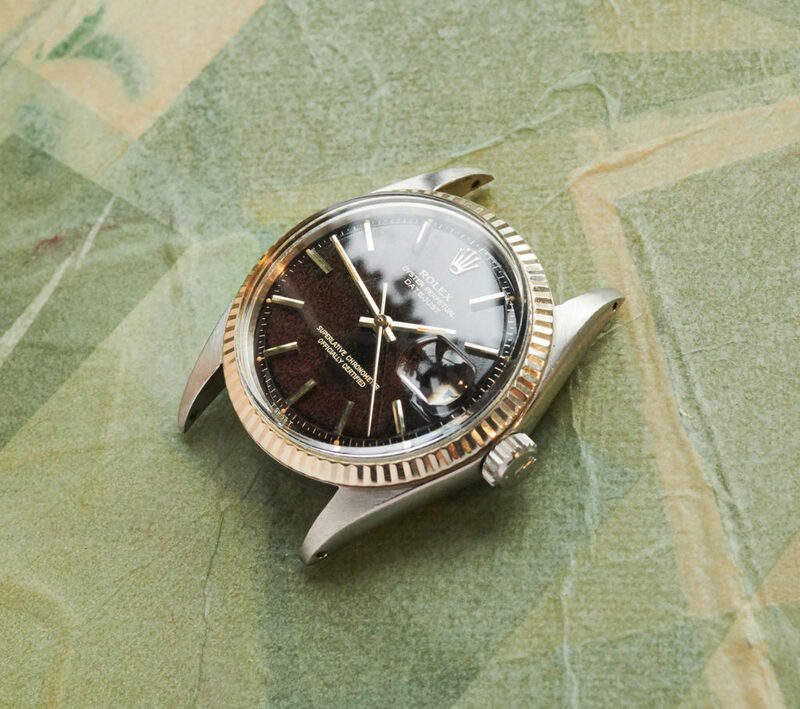 This DJ is a very special one and probably the last piece from your collection you would like to sell again.